The Best CIO Blogs from thousands of CIO blogs on the web using search and social metrics. Subscribe to these websites because they are actively working to educate, inspire, and empower their readers with frequent updates and high-quality information. CIO newsletter is a comprehensive summary of the day's most important blog posts and news articles from the best CIO websites on the web, and delivered to your email inbox each morning. To subscribe, simply provide us with your email address. New York About Blog Isaac Sacolick is a successful CIO who has led digital transformation, innovation, agile, and data science programs in multiple organizations. He has transformed underperforming businesses by delivering new digital products, investing in strategic technologies, enabling agile practices, outsourcing commodity services and establishing performance metrics. Isaac has been recognized as a top 100 social CIO, blogger, and industry speaker. Facebook fans n/a. Twitter followers 9,133. Bengaluru, India About Blog CIO.in is the online resource for Indian CIOs and senior IT Executives for case studies, whitepapers and enterprise technology trends. Powered by CIO magazine, it focuses on Business, Technology and Leadership with views from CIOs and CEOs. The site offers a range of in-depth articles, analysis, surveys and videos that track the role of a CIO as it evolves from that of an IT executive to that of a business leader. Facebook fans 2,427. Twitter followers 2,129. New York About Blog HealthsystemCIO.com is the sole online-only publication dedicated to exclusively and comprehensively serving the information needs of healthcare CIOs. Facebook fans n/a. Twitter followers 4,467. California, USA About Blog Re-imagine future of IT, CIO, Leadership in 21st century. Pearl Zhu is the author of Digital Master book series, she continues to reinvent her career from an engineer to an entrepreneur, and now to a digiteer. Facebook fans n/a. Twitter followers 621. San Francisco, CA About Blog The CIO community on Reddit. Reddit gives you the best of the internet in one place. A subreddit to discuss enterprise goals, strategies, and organizational support. Facebook fans 1,226,657. Twitter followers 591,596. New Delhi About Blog DynamicCIO is the brand name for the first community that Grey Head Media has decided to serve. The community stakeholders are CIOs and senior IT decision makers. Should you chose to become a member of DynamicCIO. Facebook fans n/a. Twitter followers 337. Ritz-Carlton, Half Moon Bay CA About Blog CISO Journal - Information security insights for today's Chief Information Security Officers. Facebook fans 3,084. Twitter followers 226. Facebook fans n/a. Twitter followers 335. Denver, Colorado About Blog Smeester & Associates is in the business of Chief Information Officers (CIOs). They help CEOs and CFOs of small and medium sized, closely held companies redefine and transform their business through technology and digital infrastructure. Facebook fans 230. Twitter followers 20,441. 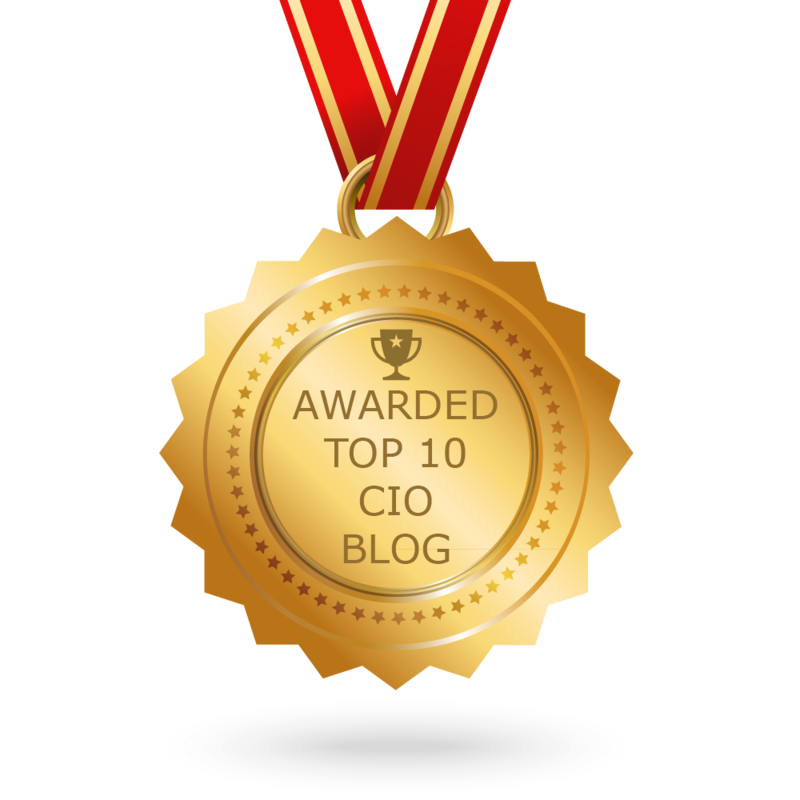 CONGRATULATIONS to every blogger that has made this Top CIO Blogs list! This is the most comprehensive list of best CIO blogs on the internet and I’m honoured to have you as part of this! I personally give you a high-five and want to thank you for your contribution to this world.